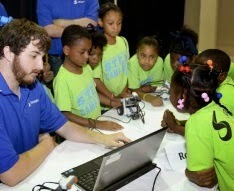 This recent article in the Baton Rouge Advocate provides a shining example of what our state will need to build a growing economy – kids interested in STEM. Camp Quest, a week-long summer STEM camp held last week, has many elements of what the Noyce Foundation would label a STEM ecosystem. STEM learning ecosystems, a new term used to describe formal and informal education collaborations, “encompasses schools, community settings such as after-school and summer programs, science centers and museums, and informal experiences at home and in a variety of environments that together constitute a rich array of learning opportunities for young people.” This unique collaboration between faith-based community, STEM-related business and organizations, as well as teachers from the community provided inquiry-based programming and field trips that not only sparked interest in STEM careers but also reinforced positive relationships all around. Organizations such as Solvay and the Interdenominational Faith Assembly should be applauded for sponsoring this effort, as well as volunteer teachers, LIGO, and Pennington Biomedical Research Center for participating. Check out Google's great new site that encourages girls to learn to code. It provides the projects, mentors, makers, and resources for girls to experiment with programming and the computer science field. Particularly important today for boosting our nation and state's innovation and competitive factor, computer science is a diverse field that has become essential to so many things, from art to business to government to entertainment. In fact, according to the Louisiana Workforce Development Commission and Office of Louisiana Economic Development, the most competitive entry level worker through 2022 will have a degree in computer science. However critical, computer science is a STEM field that needs more girls! In fact, less than 1% of female students major in computer science. Let's see what we can do about this! Hopscotch is the free iPad app for upper elementary and above. Scratch is a programming game that can be downloaded or used on the Web and is supported by MIT for beginners. Alice is another popular platform with a unique storytelling aspect. You can use it to create a game, tell a story or make an animated video. Like Scratch, Alice is free and supported by a powerful community of educators. 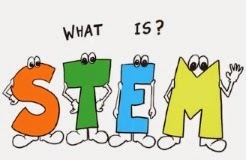 Louisiana has participated in the National Alliance for Partnerships in Equity (NAPE) STEM Equity Pipeline™ activities since September 2013 and is pleased to announce the opportunity for pilot site participation in our state. 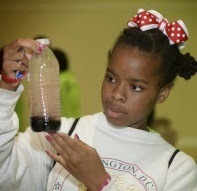 The purpose of the STEM Equity Pipeline project is to develop strategies to increase female participation and completion in science, technology, engineering, and mathematics (STEM)-related programs, including nontraditional career and technical education programs, offered at the high school and community college levels. Site-based teams will participate in a professional development program that includes data analysis for identifying equity gaps, root cause action research, and implementation of research-based strategies. The State Leadership Team will select up to four pilot sites – Deadline is June 27, 2014. A kick-off webinar for this opportunity, hosted earlier in May, described Louisiana’s critical need for building a STEM-skilled workforce. Specifically, presenters addressed what the future STEM economy is in Louisiana, how the state can prepare and develop a diverse workforce to meet this demand, and the roles of education, workforce development, and business and industry. 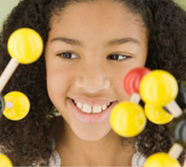 Interested high schools and community colleges should visit the Louisiana STEM Equity Pipeline webpage to access the pilot site application, view the archived webinar, and learn more about STEM Equity Pipeline activities in Louisiana. 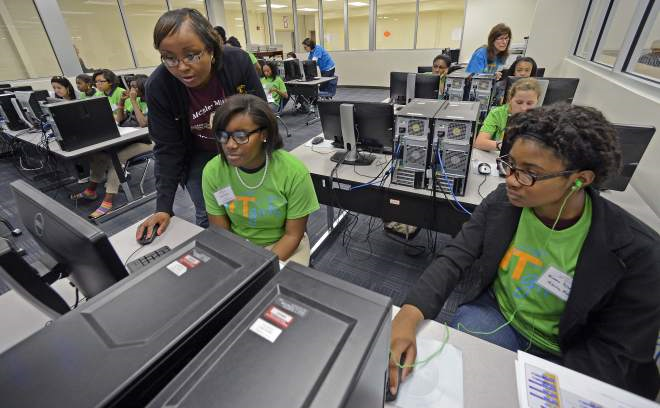 IT-Girls Creative Programming event hosted by La-WIT and key sponsors (Geocent, La Tech Park, and Foundation for East Baton Rouge School System) featured in Advocate. Computer programming is fun, and easier than Brianna Palmer thought.The McKinley Middle Magnet School seventh-grader sat in the gymnasium at Lee High Science, Technology, Engineering and Math Magnet Academy on May 2 eating lunch with classmates Ariel Cotton, also in seventh grade, and Phoebe Hemmering, a sixth-grader, during a break in the morning-long IT Girls Technology Workshop. Palmer’s ease with computer programming comes as no surprise to Kristen Reeves, creator of Louisiana Women in Technology, a networking group for women in the Baton Rouge area working in science, technology, engineering and math-related careers. The group also made the workshop possible, from organizing the event to providing volunteer programming teachers. Reeves works as a senior systems administrator for Geocent, a Baton Rouge technology company, and says she always knew she’d choose a career in computer science. She gives at least partial credit to her early exposure to the field. “My high school offered a program, so I started that my sophomore year,” Reeves said. “By the time I was a senior, I was leading projects,” despite the fact that she was one of the only girls in her computer science classes. And it was awkward. She didn’t want girls who could learn to love her field to be driven away by those circumstances, so she and her colleagues decided to become the mentors they thought were needed. “We’ve had great support from the community (to put on the workshop),” she said. “We’re calling this our pilot project, and we’re hoping to expand it into a weeklong event down the road,” Reeves added. Volunteers led the 40 sixth-, seventh- and eighth-grade girls through a short tutorial on a programming platform called Scratch, after which the students paired up to create video games, the object of which was to teach young children what to pack in a hurricane emergency. It’s an area where most of them have some experience. That’s one of the things Lee High Principal Averil Sanders Jr. liked about the event, and is in keeping with what he has in mind when he thinks of his school’s mission. 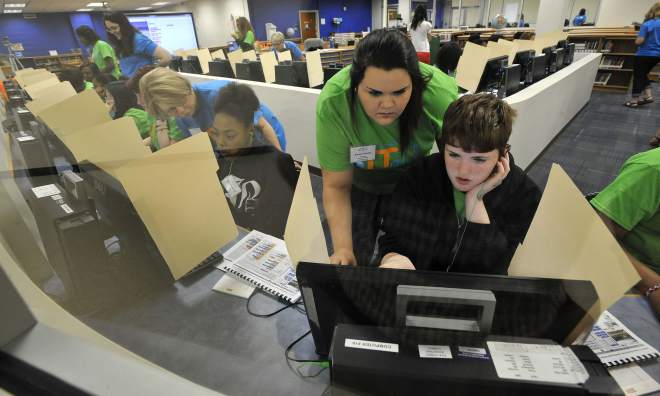 “We tend to move away from theory, to application-, project-based learning,” Sanders said. At the end of the two-hour session, the girls had a fairly complete game ready, with sound effects, a point system they designed themselves and visual components working together. “It’s amazing what they can pick up in just a couple of hours,” said Dima Ghawi, talent development manager at IBM’s Baton Rouge service center, and one of many women who spent the past few months planning the workshop. After lunch, the girls participated in team-building exercises. “That’s another important component for a successful career, no matter what your field,” Ghawi said. “It was fun,” Palmer said, and while she’s not convinced she’ll ever make a career out of video game programming, she understands the importance of being familiar with computer science. Palmer and Hemmering have already taken some form of computer design class, and Cotton plans to do so next year. As for being comfortable with a male-dominated field, Katie Assaf has been programming for a while, and there’s a pretty even mix of genders in all her classes. “I’ve used Python, and that’s mostly writing code,” she said. The Westdale Middle eighth-grader said she thinks the world is changing fast on that front. Reeves hopes to keep that momentum rolling by letting the young and tech-savvy girls in Baton Rouge know they’re here, and ready to help.